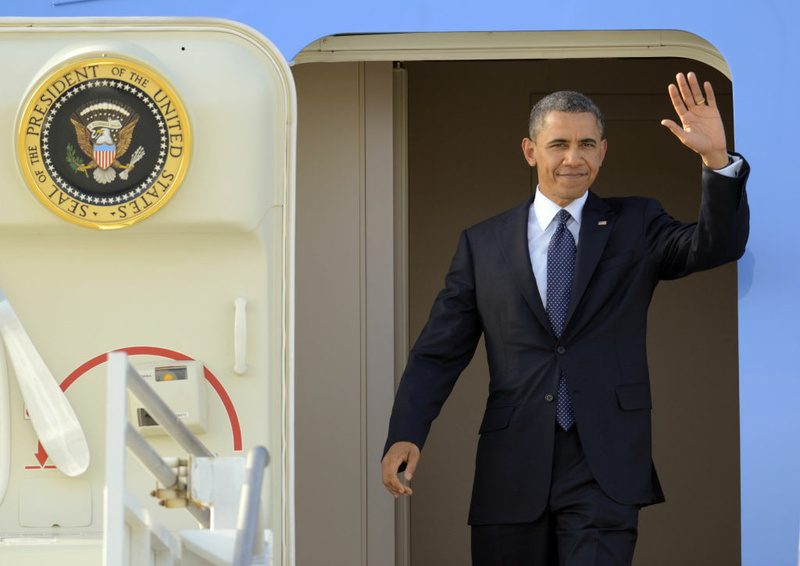 President Barack Obama waves as he arrives at Los Angeles International Airport, Thursday, May 10, 2012, in Los Angeles. Obama returns June 6 for a series of campaign fundraisers. President Barack Obama is scheduled to attend fundraisers on Wednesday and Thursday in Los Angeles, bringing out The Californians in all of us. Translation: Let's talk about traffic. In advance of LA Pride weekend, Obama is scheduled to arrive at LAX on Wednesday afternoon around 4:20 p.m. (provided no one violates his airspace again). His two-day jaunt includes three re-election campaign fundraisers -- LGBT Leadership Council Gala in Beverly Hills, dinner at the home of "Glee'' co-creator Ryan Murphy, and a breakfast fundraiser at the home of developer Charles Quarles. Westside traffic is expected to do the ol' jam and detour near Beverly Hills and Century City starting Wednesday afternoon, say police. The Beverly Hills Police Department is warning drivers of traffic delays and intermittent street closures.